Location: (the great state of) New Mexico, USA. 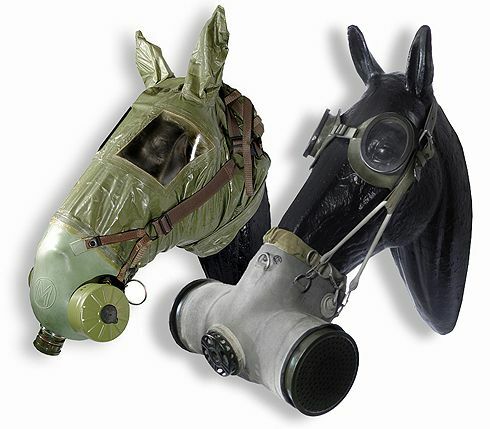 I understand the criticism and skepticism to the notion of gas masks for animals, but I think having something as an option is better than having nothing, and a less than perfect solution works perfectly as often as it won't. 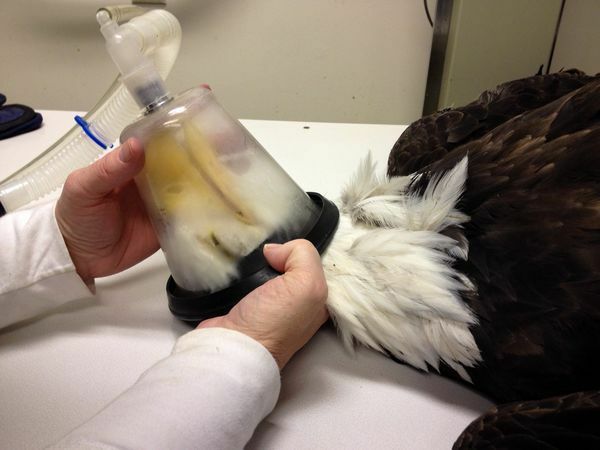 I've anesthetized many a wild deer and elk using a 2 liter coke bottle with the bottom cut off. I keep several similar devices in my medical preps, but we have several doctors and medical professionals in my group so our medical room and equipment is not a realistic example for most here. If I could find horse masks like shown below, and also filters that work with them, I'd surely want to invest in a couple. There would be a very small minority of scenarios where they might save the day, but never-the-less, I'd be happier having them than trying to replicate them on site during a related crisis. 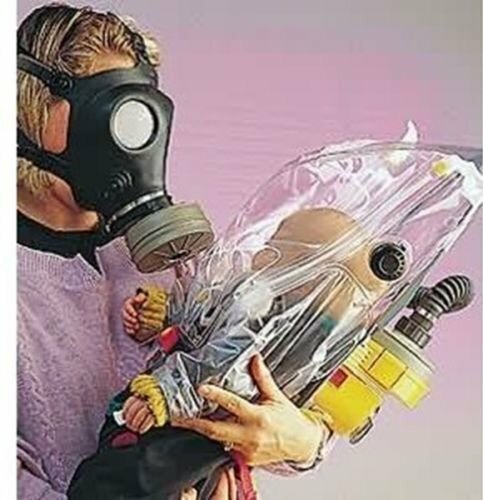 Protecting against gasses is a little different from supplying oxygen or anesthesia... you need a tight seal otherwise you (or the animal) will over-breathe the positive pressure and draw in the contaminated atmosphere. I'm not sure what volume of air you would need to supply to overcome a largely ineffective seal, but it would be considerable and probably not very portable. 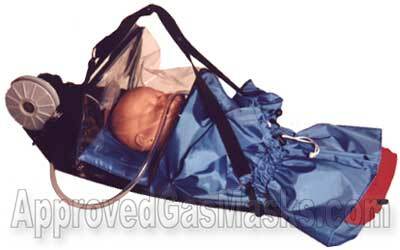 The last time I remember seeing something like that was a backpack unit for a severely immunosuppressed child. 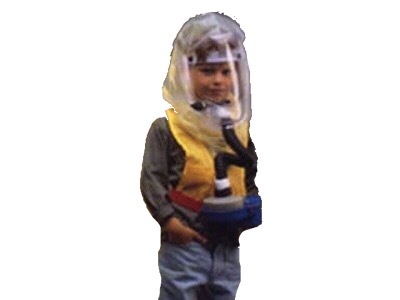 They had "clean" air blown up in their face so they had a helmetless mask so to speak. I wouldn't try it with CBRN agents though because there were likely eddy currents and venturi effects produced that would cause mixing of the atmosphere with the clean air. excellent point, and I didn't mean to draw too close a parallel, but I assume the masks they built for war horses were tested to some degree and offered some protection versus nothing. I'd guess they were imperfect, but that some horses were able to stay in the fight with them and potentially lives were saved by them. 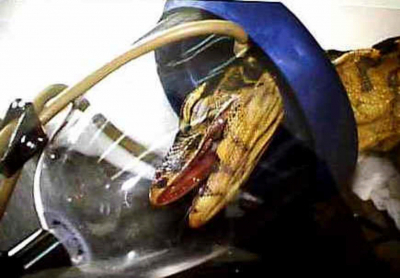 I’m aware of no actual testing or cases where the masks were successfully used... which is why I am very skeptical of the claims that these animal gas masks actually worked. Likely, a lot of this stuff was WW1 vintage, and designed to protect against things like chlorine and phosgene. The nerve agents are a whole 'nother ball game. Indeed, but even assuming just those two...I still have yet to find any evidence that dogs, cats, cows, horses, pack animals, etc... successfully made it through a gas attack wearing those masks. The pictures you see, were invariably taken ~before~ combat, not after. It’s just not something a whole lot of testing has been done with. The crate-in-a-bag systems are the only ones I would trust.